Open Your Heart! Did you know that there are many children on Cape Cod in need of foster parents? We didn’t! Fur kids a better fit for your family? There are plenty of animals in need, too. Read about how you can make a difference. 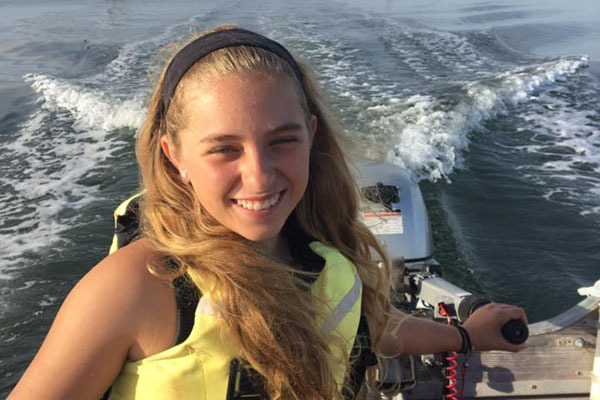 Chat With A Local: 12-year-old self-styled ocean protector Lucy Swain shares a dispatch from her family’s sailing trip of a lifetime. Just A Click Away… from losing the unique shops and family business that make the sandbar special – but you can make all the difference by thinking local before shopping online! 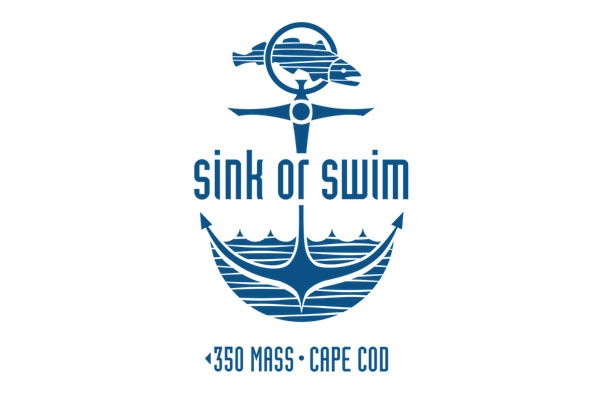 If you Love the Cape as much as we do, you might want to get involved with 350 Mass Cape Cod … we Live for Black Friday sales – shop local style! … three fins up for the newest Local coffeehouse we’re crushing on. From Cape Codders sharing the cool work they’re doing to all things turkey and from self-care to shopping, November is packed. Get involved! LoveLocal Fest Holiday Edition is around the corner. Will we see you on December 3 at the Cape Cod Community Media Center to check all the gifts you need off your list … locally?! More than 100 vendors, food, beer and fun for the whole family! Fall is a time for gathering and celebrating, as well as an opportunity for reflection and gratitude. It is also a time where many Cape Codders feel moved to give back to the community and to help those in need. This year it may include opening your heart, and maybe even your home. The Hyannis Department of Children and Families is actively seeking individuals and couples from all types of backgrounds to become foster parents. Children are sometimes placed into temporary care when their parents or other family members cannot care for them. Unfortunately, the number of children going into temporary care has skyrocketed and they don’t have enough foster homes on the Cape and Islands, which generally means the children in need will be sent to group homes or institutional settings. Or, consider adopting a furry friend, as there are millions of animals across the Cape (not to mention the country) that need a loving home. Looking for a pup to get overly excited every time you come home? 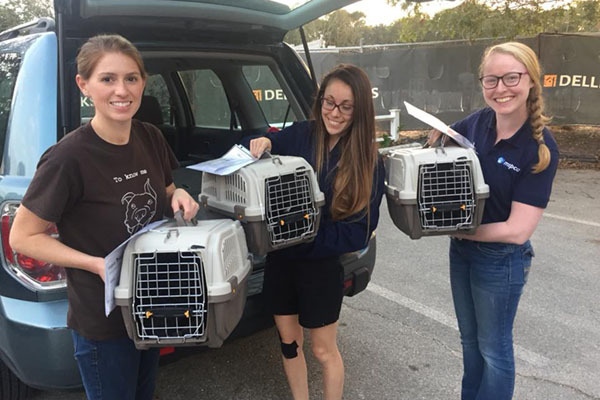 Check out Adoption Day at the Falmouth Pet Center or head to the Animal Rescue League in Brewster and meet the satos who were just brought up from hurricane ravaged Puerto Rico. If a cat or a bunny is more your speed, consider heading to the MSPCA in Centerville where there are (way too) many currently up for adoption. Two months ago, the Swain family set off on an adventure of a lifetime, hitting the high seas on their 47-foot sailboat (The Flying Fish) from Wellfleet to the Bahamas. You may know of Sarah Swain – one of our favorite local musicians as well as founder of the Cape Wellness Collaborative and the Cape Cod Women’s Music Festival – and her husband Steve, an incredible local sculptor. Together they own Wellfleet’s Frying Pan Gallery. Lucy, the eldest of the three Swain kids at 12 (Jessie and Stanley round out the crew! ), is keeping a fantastic blog describing their travels – Sailing Swains – and we thought it would be fun to get an update from her. You and your family have a cool partnership with and organization called 5 Gyres, a nonprofit doing ocean plastics reasearch. Why was this important to you? Tell us about the Manta Trawl! The partnership we have with 5 Gyres is important to me because I know that ocean plastics are a huge problem. It is important to know where there are large quantities of plastics and what kind of plastics are the most plentiful. Dad found 5 Gyres online and talked to some people who got us in touch with Carolyn Box, who works at 5 Gyres. She happened to be visiting the Cape and we met up with her in Wellfleet. We do not have a specific schedule for when we use the Manta Trawl. We try to do it as often as possible, but we cannot do it every day because some areas we are in you cannot trawl, and sometimes the waves are too big and the wind is too high. I have been pleasantly surprised about our results, because there has not been as much micro-plastic as I thought there would be, at least where we trawled. In Cape Cod Bay we got no micro-plastics where we trawled, but we picked up quite a few balloons, plastic bags and floating plastic debris with our boat hook. That does not mean that there are no micro-plastics in the bay at all, but possibly Cape Cod Bay does not have a lot of micro-plastics in it compared to other places. Let’s try to keep it that way! What is your message to your fellow Cape Codders about how we can positively impact a reduction in ocean plastics? Everyone knows about the three R’s – Reduce, Reuse, Recycle! But there is one more R, probably the most important one. Refuse! Refuse to use plastic bags when you go food shopping. Refuse to buy foods with lots of plastic packaging. When you go out to eat ask if you could skip the straw and, if you have kids, ask if they could get their drinks in glass cups instead of the plastic kiddie cups. Refuse to buy single use plastic water bottles, buy a nice reusable one (glass or metal) instead. Refuse to buy little plastic toys that kids will only play with once, like the ones you get for birthday party favors. Do not use any products with “micro-beads”, like skincare and toothpaste. Refuse balloons and especially balloon releases! We once picked up 5 balloons in ten minutes. Not good! Sea turtles may mistake them as one of their favorite foods, jellyfish. It kills the sea turtles when they eat the balloons. Make sure you use your four R’s in your everyday life, but don’t think that it is okay to use a lot of plastics if you are recycling them. Most plastics that you put in the recycling bin don’t actually get recycled, and many types of plastics are non-recyclable. 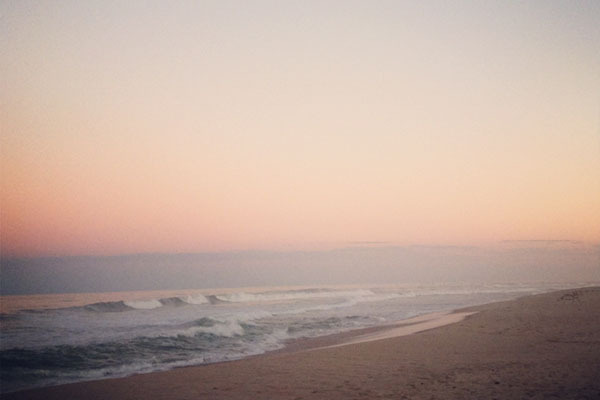 What do you miss most from Cape Cod? I miss all my friends and family and dogs the most, but I also miss the change of seasons. I love the fall and winter, and it just doesn’t feel like the fall. For example, this Halloween it did not feel like Halloween to me because we were not with our family friends that we go trick-or-treating with every year. Do you still have to do homework? Are Jessie and Stanley learning a lot? I am still enrolled with the Cape Cod Lighthouse Charter School. I am doing most of my school work online. Other than the stuff I do online, and some of the math that Jessie does, we are doing most of our school work by going to museums and we are learning many things that we would not be learning in school at home. Mom has us write reports about our trips. Stan would still be in preschool so he is not doing any schoolwork, his job is to not fall off the boat. Stanley also spends hours and hours with his Legos! I also have been writing a blog about our journey. Do you think your sailing and navigation skills have improved? Is there one cool thing you’ve learned that you’re excited about? Yes! I have learned a lot about navigation and sailing. Mostly navigation. Sadly we have not been able to sail much because there as either been not enough wind, too much wind, or it is coming from the wrong direction. Luckily we have a big motor that works quite well. My favorite thing that I have learned is how to use paper charts. I quickly figured out how to use the electronics we have for navigation, but paper charts were a little harder for me. It is cool to learn a skill that has been practiced for hundreds of years. How does a family of five not go crazy living aboard a boat together?! We actually have been doing better than I thought we would be doing. We do get into the occasional argument, but no more than we did when we were home! It is actually really nice living together in close quarters. We are always so busy at home with school and activities (and our parents are really busy) that we don’t get to spend a lot of time together. Most importantly – food! What’s the best thing you’ve made aboard Flying Fish? My favorite thing that we have had so far is probably the vegan chili my mom makes with some freshly baked bread. We make homemade bread about twice a week. We always try to bake it on the coldest day we can, because using our oven heats up the whole boat, and, on hot days, it makes down below really hot. We get our fruits and veggies at grocery stores at towns we stop at along the way or farmers markets (if we can find one) about once a week. We try to get things that store well like apples, oranges, potatoes, squash, cabbage (yuck) and romaine/iceberg lettuce. Things like berries, tomatoes and cucumbers do not last long! I have tried crab and like it a lot and love Old Bay seasoning! Once we get to the Bahamas we will not have the same access to fresh fruits and veggies. Where are you now and what’s the next stop? 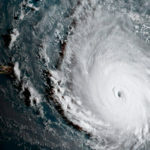 Right now we are in Beaufort (North Carolina) and tomorrow we are headed down the ICW (Intracoastal Waterway) to Swansboro N.C. We are not doing any more long days (8+ hours) until we head over to the Bahamas from Ft Lauderdale. Our destinations are now pretty close together, about 3 hours or so, and we will have time to explore in the afternoons. Thanks, Lucy! Fair winds and following seas to the Swains as they continue their adventure … keep up with their journey on their blog and Instagram. Online shopping has skyrocketed in the last decade and a half; about eight-in-ten Americans are now online shoppers: 79% have made an online purchase of any type, up from only 22% back in 2002. In the United States alone e-commerce sales are estimated to total $353.7 billion for 2017, and increase to $485.3 billion by 2021. Sure, online shopping may be more convenient, sometimes cheaper, and possibly offer more options than shopping at a brick & mortar store. But there is a cost to it: a vibrant, diverse, and thriving local economy. Every time a consumer shops online with corporate behemoths like Amazon, it is a direct hit to the bottom line of a brick and mortar store. And because small businesses make up most of the retail economy (this number has been on a steady decline since the 1970s), local stores are the biggest losers. People spend what they spend. They are not spending more money than what they would have had they not shopped online. Instead online shoppers are spending their dollars outside of the local economy, which can lead to job loss, depressed commercial areas, and fewer tax dollars for local municipalities and their services. Not to mention that many of our friends, families and neighbors have invested their lives in making their brick and mortar stores successful. Owning a retail shop is not simply “open the doors and they will come.” It takes hard work, great care, creativity and good taste. In addition to shopping online for a lot of their needs and wants, consumers now browse a local shop, see something they like, take a picture of it and try to find it cheaper online, adding more insult to injury. 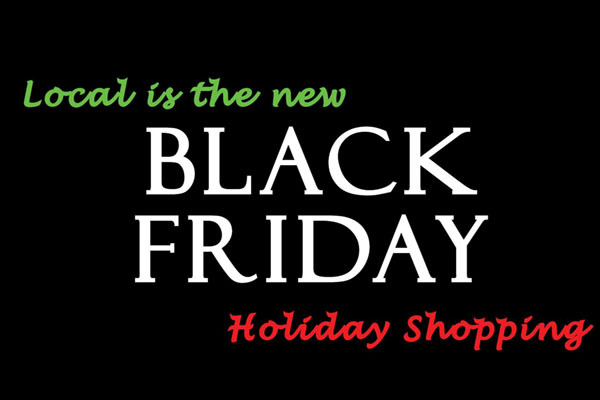 November brings Black Friday, Small Business Saturday (yay!) and Cyber Monday. Last year’s Cyber Monday 2016 was the biggest day in the history of U.S. e-commerce with Black Friday not far behind. This year, we urge you to think local first – the future of our community is depending on it. The day after Thanksgiving, or Black Friday as it is affectionately referred to by retailers, is nationally known as the day when the holiday shopping season kicks off, and when shops have super crazy good doorbuster deals. However, it can sometimes be hard to visit all of your favorite local stores across the Cape in one Black Friday, so this year, the Current Quarterly and Cape Cod Beer have teamed up to create the first ever Local is the New Black Friday Event, where local stores like Underground Fashion, Titcomb’s Bookshop, Modern Mix, Weekend, Shift Eco Boutique, Directions, Devinto, Chelsea’s Swimwear and Apparel, and Homegrowntrades will sell their clearance products from 10am-5pm that day (November 24) at the brewery in Hyannis. People searching for great products at great prices can go to one central location, while also shopping local. And there’s also a special beer release that day – a limited Black Friday cask! There has never been a better time for coffee addicts on Cape Cod. 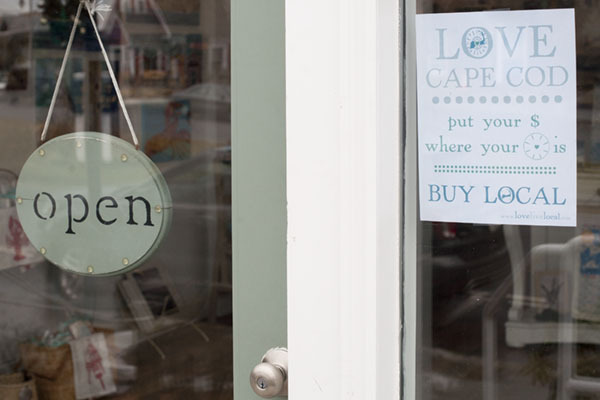 For those of us left unsatisfied by some of the chain caffeine purveyors, our java itch can now be scratched from Woods Hole to Provincetown at locally owned joe joints – some of which are also roasters! 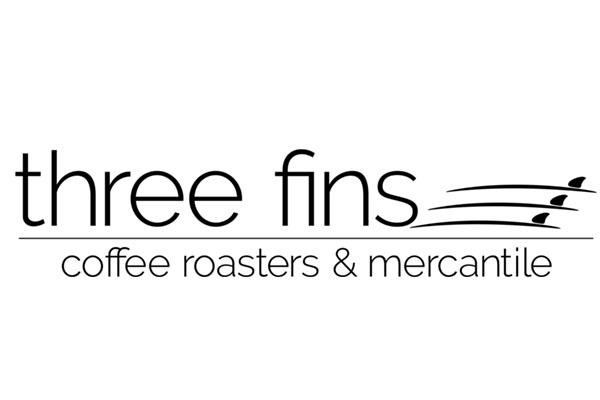 Most recently, the sandbar welcomed Three Fins Coffee Roasters, owned by Ron Reddick and Catherine Bieri. After traveling the world working in the wireless tech industry, the pair decided to plant their roots on Cape Cod and open a coffee shop and specialty roaster that reflected their global experiences. The welcoming, airy space on Route 28 in West Dennis invites patrons to enjoy everything from drip to pour-over coffee and espresso drinks to tempting locally made pastries from the likes of Pain D’Avignon. The owners and staff are passionate about the roasting process, and eager to share it with others. Not sure why bean origin, region or farm matters? Just ask – armed with your newfound knowledge you’ll be ready to take home a bag of your favorite beans to brew at home! 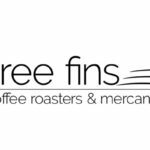 You can also find Three Fins served and for sale at several locations on Cape – visit their website for stockists. Follow Three Fins Coffee Roasters on Facebook and Instagram to stay in the loop – and be sure to stop by to sample a sip at LoveLocal Fest Holiday Edition on December 3!